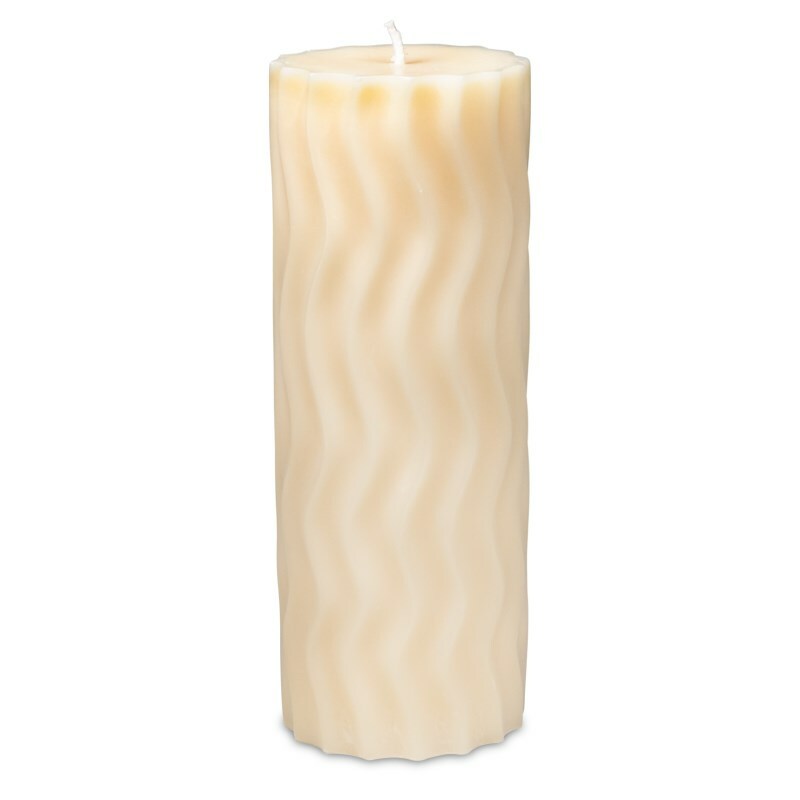 Wavy ivory scented candle, made from sustainably produced stearine. Fragrance from essential oils: amber/vanilla. Packaging: Durable cardboard gift box. FairTrade (WFTO) and Green Palm certified. No smoke, stable flame, cotton wick. Information on packaging: Dutch, English, German, French, Italian and Spanish. These candles are handmade in Indonesia and produced with sustainable green palm certified stearine. 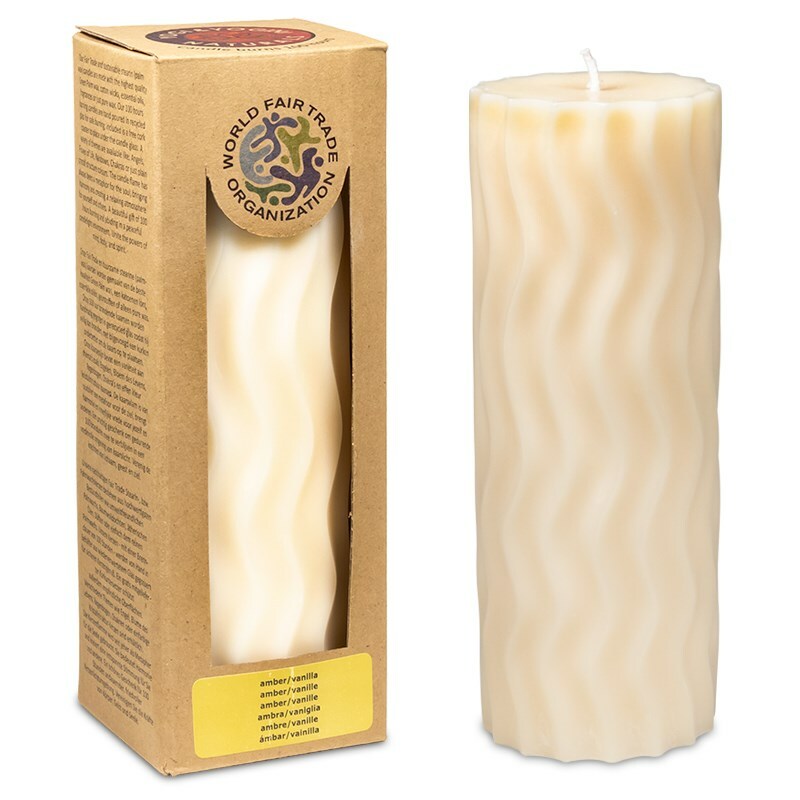 By using certified green palm oil and durable packaging materials, these candles are an environment-friendly product. Production of the candles is done by hand, in this way offering a guaranteed job for as many people as possible. Eighty percent of the employees are female. The company is WFTO certified.